We announce the registration of a first military vehicle. 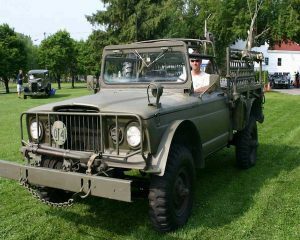 Mr. Allan Dornan will present his Kaiser Jeep M715 (1967) in our new VM section at the Royal Canadian Legion. Welcome the family of “Cruisin at the Boardwalk”! We also celebrate the excellent collaboration offered by the RCL91 of Sainte-Anne-de-Bellevue, which year after share their parking for the duration of the event. Thank you!